Click this Link to go to his website! 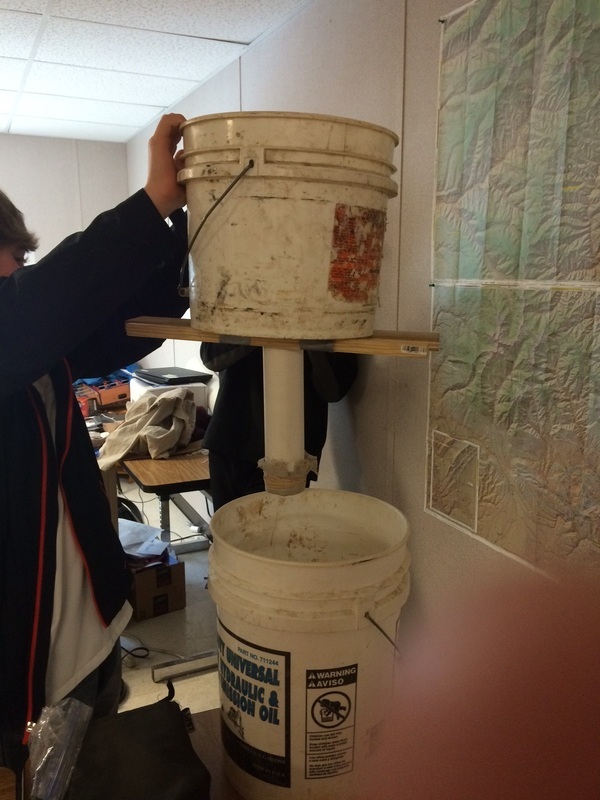 The reasoning for us doing this project was to see if the size of a room actually mattered. During this project we investigated the question “Does the size of a room affect the high pitched sound than the larger the room, the less interference between each sound wave will occur?” We needed to think of a question that would make our teacher, Brian, proud of us. It was a good question, but he wasn’t impressed with us. By us, I mean Haley, Zoe, and Lyric. He gave us ways of making our project better and talked to our group almost every day. In the long run, he helped us refine our project to the best it could be. Snow science is relevant to me because I live in a very mountainous area in Colorado. In this region, it snows a lot and it is good to know how to deal with an avalanche if one were to occur. I now understand that water and snow play a very important role in the American west. Most of the snow that falls onto the rocky mountains, in Colorado, melts and goes into the many rivers in the mountains. All of these rivers end up in the Colorado River which then feeds into Lake Powell and then Lake Mead. These lakes are used to supply water to the many large cities in the area, such as Las Vegas, Phoenix, and Las Angeles. If we didn't get much snow that winter, then the river wouldn't be full, thus the lakes wouldn't be full. That means that the cities and communities relying on the lakes wouldn't get there full allotment. Snow is a very important factor in the well being of the west. The skills I developed through engaging in this material were independent research and learning and curiosity and imagination. 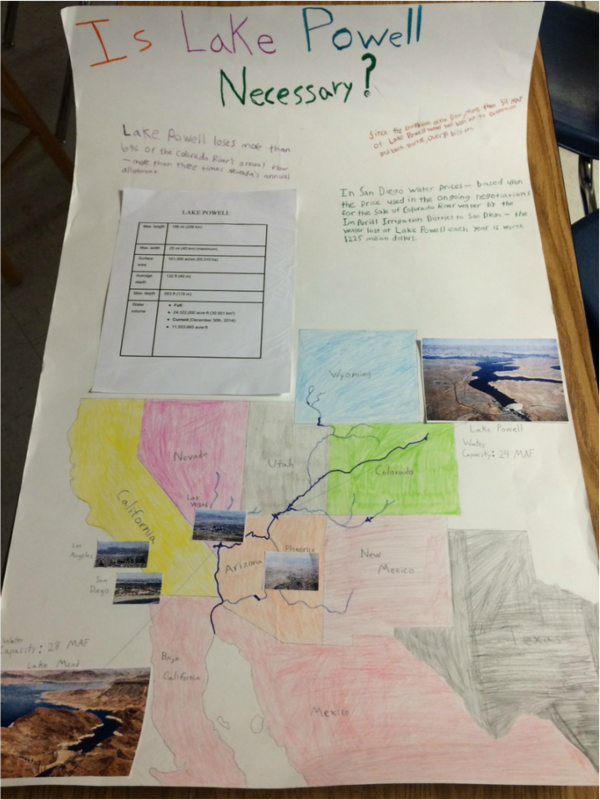 One thing I enjoyed doing in this project was making my poster of Lake Powell. The map on it came out very well. One thing I didn't enjoy or I struggled with was finding concrete evidence on why we needed Lake Powell. Our first rocket was the first one we built out of the two. It used two, two liter soda bottles with one end cut off of one of the bottles. Then that side was placed on the bottom of the not cut bottle which created a rocket with a nozzle on each end of the rocket. The fins are the only difference on the two rockets. This rocket’s fins were made from foam board and were secured to the rocket body by five-minute epoxy. Then, once they were secured and dry, we put masking tape over the fins for further stability. 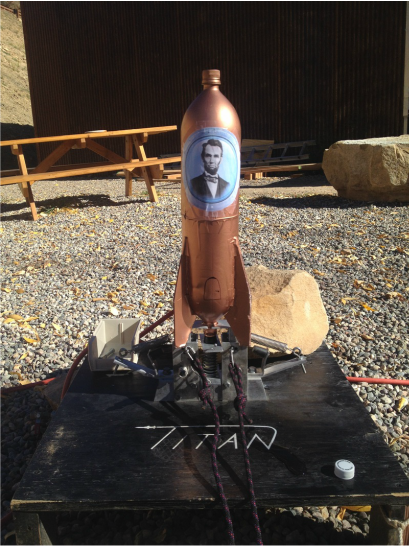 This rocket is called Abe Lincoln. Our testable question was as follows: Do different fins affect how high the rocket goes? This led to our hypothesis: If fins affect the height of a rocket, then two different types of fins could affect two different rockets because each fin should affect their rockets height differently. Yeah, I know, I say affect and rocket a lot, but it makes sense. Our second rocket was based on our other rocket’s design. The only difference was the fins. I chose to use water bottles instead of the regular foam board fins. The body of the rocket was made out of two different two liter soda bottles. We left one fully intact and cut the bottom off the second one. Then we put the half bottle on the bottom of the full bottle. This design had a nozzle on both ends of the rocket. Then we added three SMART water bottles onto the side for fins. These fins are the different variable from the first rocket. 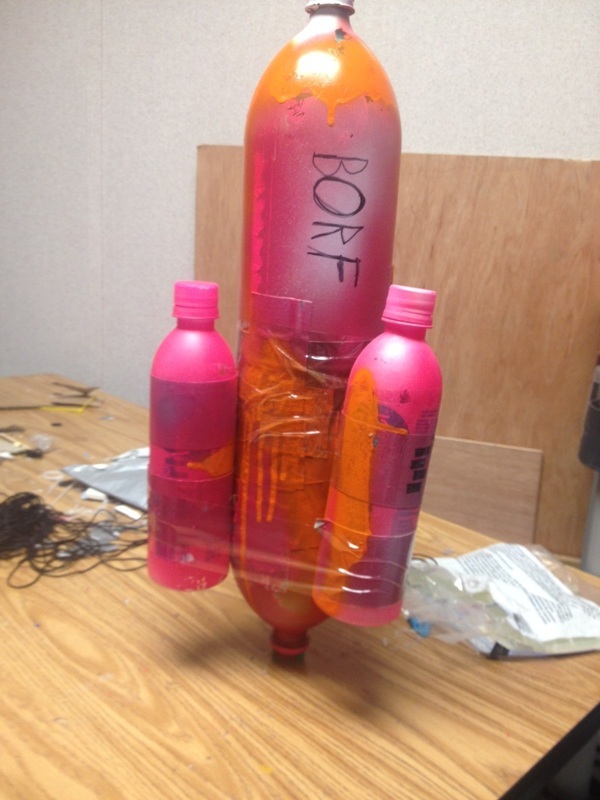 This rocket is called BORF. The procedure we took to launch the two rockets were very simple. The two main variables we changed were the fins, but it turned out we made a lot more changes, including the mass and a few others. The mass of Abe Lincoln was 111g and the mass of BORF was 233g. More than double the mass of Abe. The SMART water bottles were a lot heavier than we had thought and the spray paint weighed it down even more. 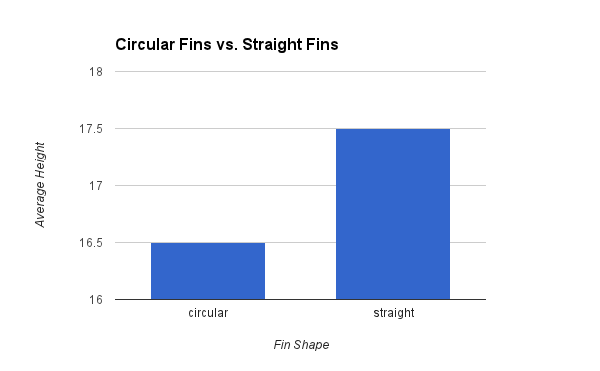 This shows the average height of both types of fins. You can see that the straight fins went around a meter higher than the circular fins.